1775 – At Fort Ticonderoga, Continental Army Colonel Henry Knox began his historic transport of artillery to relieve a British siege of Boston near Cambridge, Massachusetts. 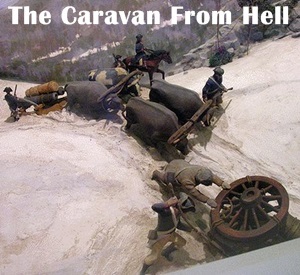 Over the course of three winter months, Knox and his troops moved 60 tons of cannons and other armaments by boat, horse and ox-drawn sledges along poor-quality roads, across two semi-frozen rivers, and through the forests and swamps of the lightly inhabited Berkshires to the Boston area; a distance covering approximately 300 miles. When the equipment began to arrive in the Boston area, General George Washington, seeking to end the siege, formulated a plan to draw at least some of the British out of Boston, at which point he would launch an attack on the city across the Charles River. British General William Howe planned to contest this move by assaulting the position, but a snowstorm prevented its execution. After further consideration, he decided instead to withdraw from the city. On March 17, British troops and Loyalist colonists boarded ships and sailed for Halifax, Nova Scotia. Historian Victor Brooks called Knox’s exploit “one of the most stupendous feats of logistics” of the entire American Revolutionary War. 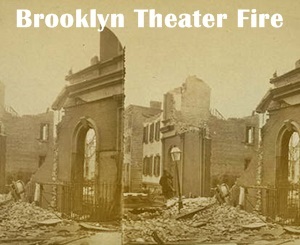 1876 – A fire at the Brooklyn Theater in New York killed nearly 300 people and injured hundreds more. The play The Two Orphans was showing at the theater and all 900 seats were filled. Sometime near the start of the performance, a gas light ignited some extra scenery stored behind the stage. It wasn’t until midway through the play that stagehands noticed the quickly spreading flames. Unfortunately, there were no fire hoses or water buckets at hand and the fire spread, unbeknownst to the cast and audience. When the audience finally did notice, bedlam ensued, particularly in the balcony and rear of the theater. A narrow staircase was the only the exit from the balcony (there were no fire escapes) and panic resulted in a stampede in which many were crushed and others remained trapped. By the time firefighters arrived it was too late for hundreds of people. The fire raged through the night and destroyed nearly the entire building. Up to 100 of the victims were burned beyond recognition and could not be identified. 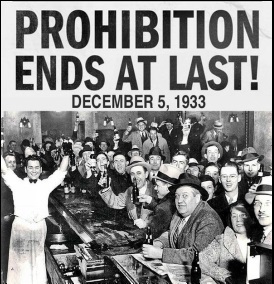 1933 – The 21st Amendment to the U.S. Constitution was ratified, repealing the 18th Amendment and bringing an end to the era of national prohibition of alcohol in America. After the repeal of the 18th Amendment, some states continued Prohibition by maintaining statewide temperance laws. Mississippi, the last dry state in the Union, finally ended Prohibition in 1966. 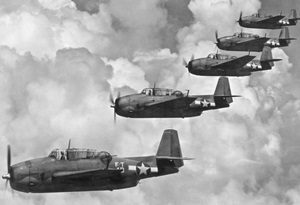 1945 – Five U.S. Navy Avenger torpedo-bombers comprising Flight 19 took off from the Ft. Lauderdale Naval Air Station in Florida on a routine three-hour training mission. Two hours after the flight began, the leader of the squadron reported that his compass and back-up compass had failed and that his position was unknown. The other planes experienced similar instrument malfunctions. After two more hours of confused messages from the fliers, a distorted radio transmission from the squadron leader was heard at 6:20 p.m., calling for his men to prepare to ditch their aircraft simultaneously because they were all low on fuel. Several land radar stations determined that Flight 19 was somewhere north of the Bahamas and east of the Florida coast, and at 7:27 p.m. a search and rescue Mariner aircraft took off with a 13-man crew. Three minutes later, the Mariner aircraft radioed to its home base that its mission was underway. The Mariner was never heard from again. 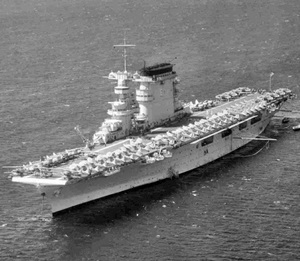 1941 – The Lexington, one of the two largest aircraft carriers employed by the United States during World War II, made its way across the Pacific in order to carry a squadron of dive bombers to defend Midway Island from an anticipated Japanese attack. Negotiations between the United States and Japan had been ongoing for months. Japan wanted an end to U.S. economic sanctions. The Americans wanted Japan out of China and Southeast Asia and Japan to repudiate the Tripartite “Axis” Pact with Germany and Italy before the sanctions could be lifted. Neither side was budging. President Roosevelt and Secretary of State Cordell Hull were anticipating a Japanese strike as retaliation – they just didn’t know where. American intelligence reports had sighted the Japanese fleet movement out from Formosa (Taiwan), apparently headed for Indochina. The U.S. State Department demanded from Japanese envoys explanations for the fleet movement across the South China Sea. The envoys claimed ignorance. Army intelligence reassured the president that Japan was most likely headed for Thailand, not the United States. The Lexington never made it to Midway Island; when it learned that the Japanese fleet had, in fact, attacked Pearl Harbor, it turned back – never encountering a Japanese warship or a single aircraft. By the time it reached Hawaii, it was December 13. The Lexington story doesn’t end there. The carrier was sunk during the Battle of Coral Sea on May 8, 1942. 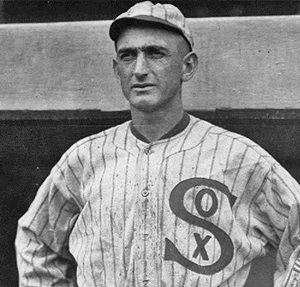 1951 – Joseph Jefferson “Shoeless Joe” Jackson died of a heart attack at the age of 64. Jackson, who had a lifetime batting average of .356 (third highest in baseball history), is remembered for his alleged association with the Black Sox Scandal, in which eight members of the 1919 Chicago White Sox participated in a conspiracy to fix the World Series against the Cincinnati Reds. Jackson’s exceptional play in the 1919 World Series, leading both teams in several statistical categories and setting a World Series record with 12 base hits, would appear to prove he played no part in the scandal. In 1921, a Chicago jury acquitted Jackson and his seven teammates of wrongdoing. Nevertheless, Kenesaw Mountain Landis, the newly appointed Commissioner of Baseball, imposed a lifetime ban on all eight players. 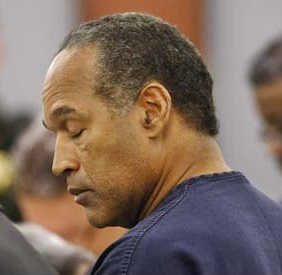 Since then, Jackson’s guilt has been fiercely debated with new accounts claiming his innocence, urging Major League Baseball to reconsider his banishment. He remains on MLB’s ineligible list, which automatically precludes his election to the National Baseball Hall of Fame. I could leave it at that but this man’s heroism deserves more detail. 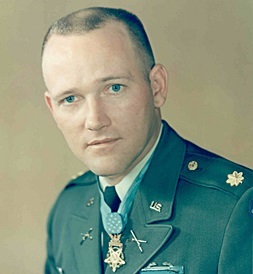 On July 6, 1964, Donlon was commanding a detachment assigned to defend Camp Nam Dong, 400 miles north of Saigon. At 2:25 a.m., a Viet Cong battalion launched a full-scale surprise attack. In the course of the five-hour battle, DonIon seemed to be everywhere, firing and hurling hand grenades under a hail of enemy bullets and mortar shells. He shot down a three-man Viet Cong demolition team threatening the main gate of the defense compound. He dragged urgently needed ammunition across open areas to gun positions. When he discovered a wounded gun crew, he stayed behind to cover their withdrawal. Donlon himself was wounded four times, the first a stomach wound into which he stuffed a handkerchief to stem the flow of blood. Yet he refused aid for himself until after daylight, when all of his men had been tended to. 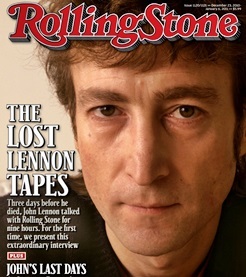 1980 – Speaking with Rolling Stone magazine’s Jonathan Cott, John Lennon gave his last print interview. He was murdered three days later. 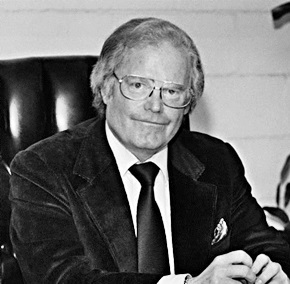 2002 – Legendary television producer and executive Roone Arledge died in New York City, at the age of 71. He was the president of ABC Sports from 1968 until 1986 and ABC News from 1977 until 1998, and was the driving force behind many programs (some of them still airing today): Wide World of Sports, Monday Night Football, ABC World News Tonight, Primetime, Nightline and 20/20. 2008 – Nevada District Court Judge Jackie Glass sentenced O.J. Simpson to 33 years in prison (with eligibility for parole after nine) for an armed robbery. On the night of September 13, 2007, a group of men led by Simpson entered a room in the Palace Station hotel in Las Vegas, and stole various sports memorabilia at gunpoint. Simpson was arrested for his involvement in the robbery and admitted taking the items, which he said had been stolen from him, but denied breaking into the room. Simpson was released from the Lovelock Correctional Center on October 1, 2017. 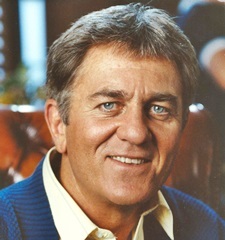 2010 – Don Meredith died at the age of 72 after suffering a brain hemorrhage. “Dandy Don” played nine seasons with the Dallas Cowboys before becoming part of the original broadcast crew on Monday Night Football in 1970. After three seasons, he left to work at NBC, but soon returned to MNF until his retirement from the booth in 1984. A highlight of any MNF broadcast was hearing Meredith sing Willie Nelson’s Turn Out the Lights, The Party’s Over when a game appeared to be decided. Dandy Factoid: When Meredith started his NFL career in 1960, he immediately became the favorite player of a 10-year old kid … Me. 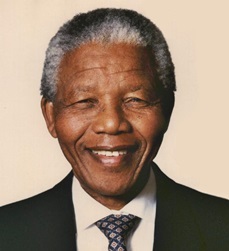 2013 – Nelson Mandela, South Africa’s first black president and anti-apartheid icon, died at the age of 95 following a prolonged respiratory infection. The Nobel Peace Prize laureate was one of the world’s most revered statesmen after preaching reconciliation despite being imprisoned for 27 years after being convicted of sabotage. Mandela is often cited alongside Mahatma Gandhi and Martin Luther King, Jr. as one of the 20th century’s exemplary anti-racist leaders, and a universal symbol of social justice. But no story is really as simple or predictable as that. Mandela often depended on some of the world’s most vilified leaders in order to achieve great success on behalf of a marginalized people – such as Fidel Castro (Cuba), Muammar Gaddafi (Libya), and Akbar Hashemi Rafsanjani (Iran).